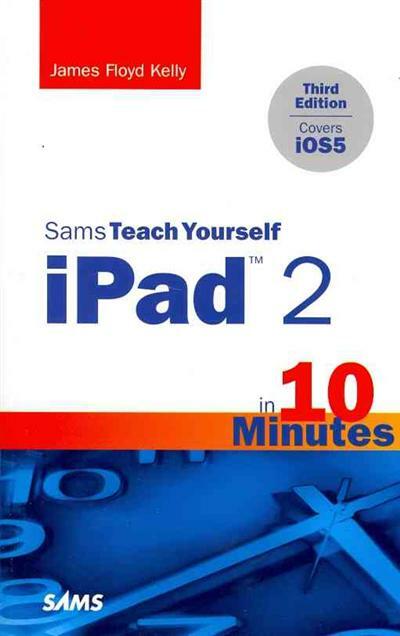 By working through the 10-minute lessons featured in this book, readers learn everything they need to know to quickly and easily use the iPad 2. Step-by-step instructions walk readers through the most common questions, issues and tasks. James Floyd Kelly is a technology writer from Atlanta, Georgia. James received a Bachelor of Arts degree in English from the University of West Florida and a Bachelor of Science degree in Industrial Engineering from Florida State University. James has written on numerous technology subjects. He has written books that teach readers how to build CNC machines and 3D printers as well as LEGO robots, and he's written on subjects as diverse as Mint.com (a financial online tool), Open Source software, and the Motorola Xoom tablet. James' first computer was the original Apple Macintosh (1984), but since then he's mainly been swimming in the waters of Microsoft Windows. 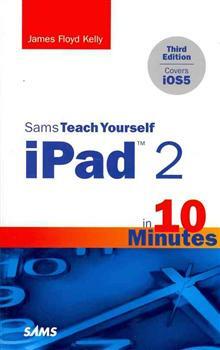 But his purchase of the first iPad, followed recently by a purchase of the iPad 2 and then a new Macbook Air, have given him a new outlook on his work life. James lives with his wife, Ashley, and two sons, and he tries to learn something new every day.